on the southeast corner of the town square in Bolivar. Mondays, Wednesdays, Fridays and Saturdays, 10 a.m. to 2 p.m. Contact PCGS for more information. Arranged alphabetically. Please click on the letter of the file you need. First column is category and shelf location at the PCGS Library. Click here to see a list of the family histories in the library. Click here to see a list of the microfilm available in the library. Contact PCGS for more information about the books listed. The Polk County Genealogical Society Library turned into a television studio for a few hours Wednesday morning, June 2, 2004. 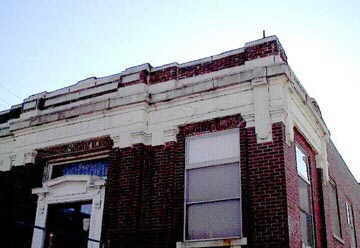 The first floor of the building was the back drop for a segment for the public television series "History Detectives." Click here for the complete story and pictures. The episode aired Sept. 13, 2004. 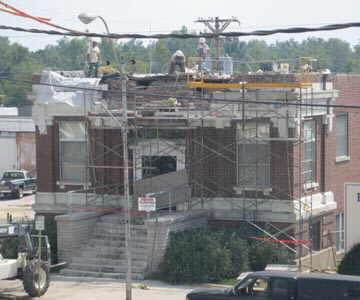 In November 2001, PCGS started the application process to get the PCGS Library building, formerly the public library, listed on the National Register of Historic Places. Lou Kemp was the coordinator of the process. The building was built by a grant from Andrew Carnegie and the Carnegie Corporation in 1914/15. T. H. B. Dunnegan donated the land where the building is located. The building was designated as a historic site because of its "social significance in the life of Bolivar and Polk County" according to President Susan Sparks. It was officially added to the National Register of Historic Places on July 17, 2003. 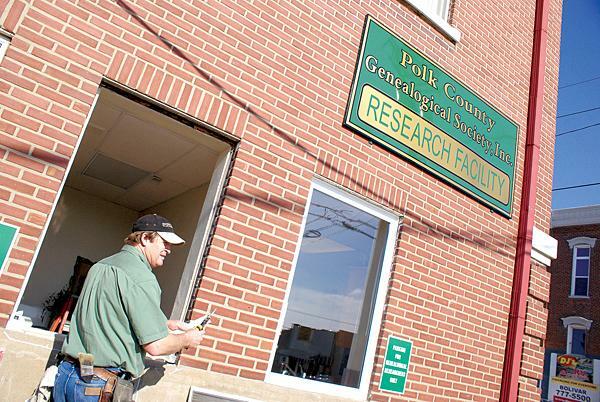 After a year and a half of research, the latest project of the Polk County Genealogical Society has reached a successful conclusion. 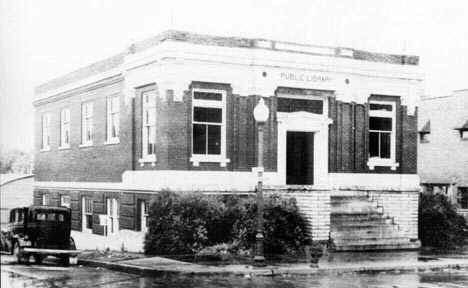 The former Polk County Library building on the Bolivar square, now the home of the genealogical society, has been added to the National Register of Historic Places. It is the first building in Polk County to be designated as an official historic site. The members of the society started the application process for the historic designation in November 2001. Lou Kemp acted as coordinator for the project, gathering the necessary documentation about the role of the library in community life. "It had always been a dream of mine to get this building named as a historic building," Kemp said. "The other members of the society were a lot of help; every time they were looking in old newspapers for someone's obituary, if they saw something about the library, they copied it, too. We gathered a lot of information." The building was built in 1915, funded by an $8,000 grant from Andrew Carnegie and the Carnegie Corp. The Bolivar Library Board was headed at that time by T.H.B. Dunnegan, who also donated the land where the building is located. The architect who designed the building, James Heckenlively of Springfield, was also involved in the design of the Shrine Mosque, St. John's Hospital and other Springfield landmarks. "This kind of research wasn't that difficult for us," said Susan Sparks, president of the genealogical society. "We have experience in finding the history of people; it wasn't that different to find the history of this building." 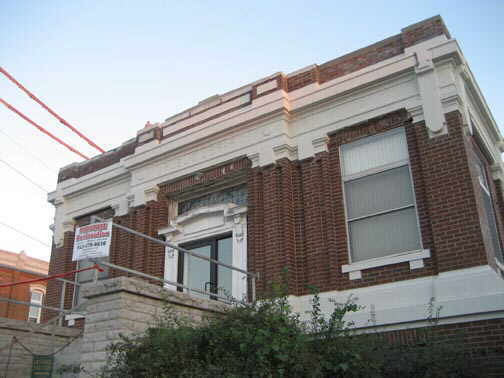 An application for a historic site has to go through the state Office of Historic Preservation, which approved the Bolivar application in April. The state office forwarded the request to the National Park Service in Washington, D.C., which officially added the library to the National Register of Historic Places on July 17. "There are two ways to be designated as a historic site; either through architectural significance or through social significance to the community," Sparks said. 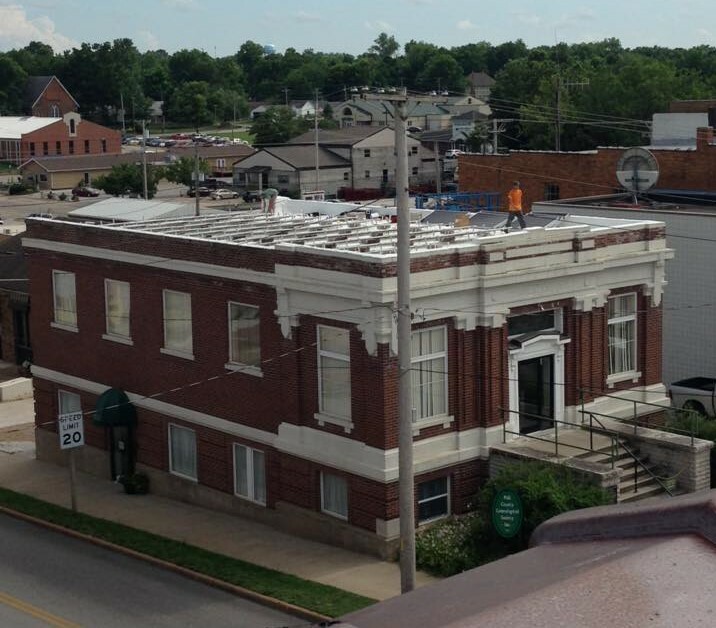 "We went for the social significance of this building in the life of Bolivar and Polk County." The building is much less elaborate than many other Carnegie libraries in other parts of the country, but Sparks said she doesn't mind. 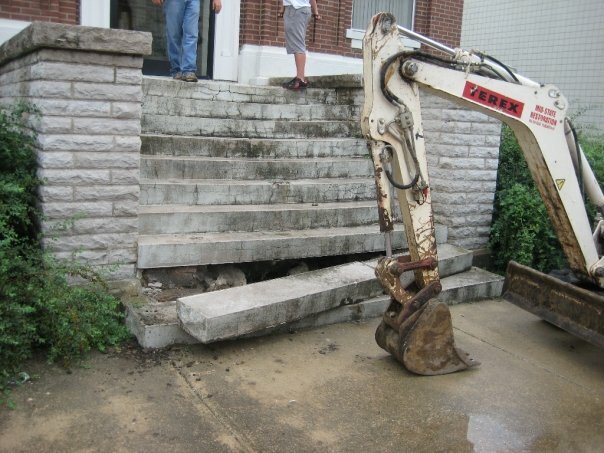 "They only had $8,000 to build with, so they spent their money on structural stability, not on decoration," she said. "They put big steel beams in the floor and in the ceiling, and that's one reason the building is in such good shape. I'm thankful for that." Sparks and Kemp both said they hope other owners of downtown buildings will get involved in historic preservation. 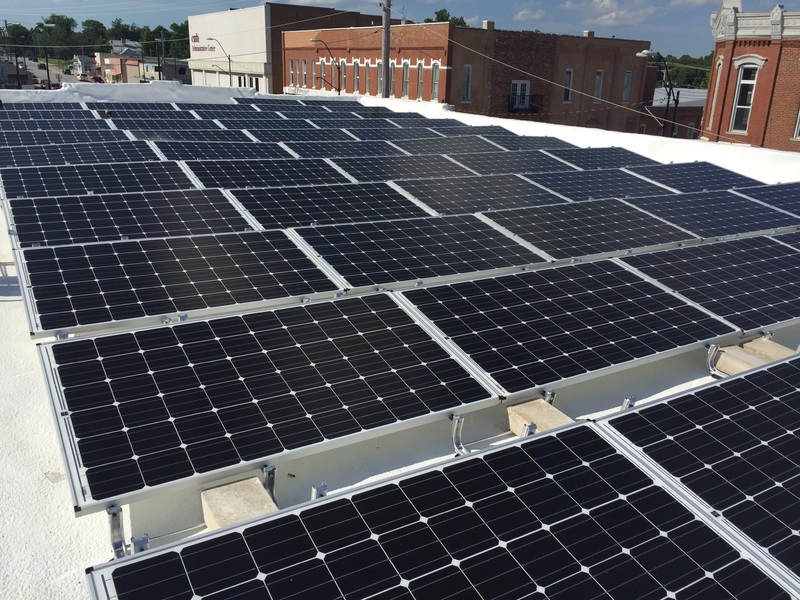 "We just felt this building was important to the landscape of the square and the life of the community," Kemp said. "That's why we wanted to save it." The library was built in 1914; the first set of stairs failed in 1926. New ones were built on top of the old stairs. 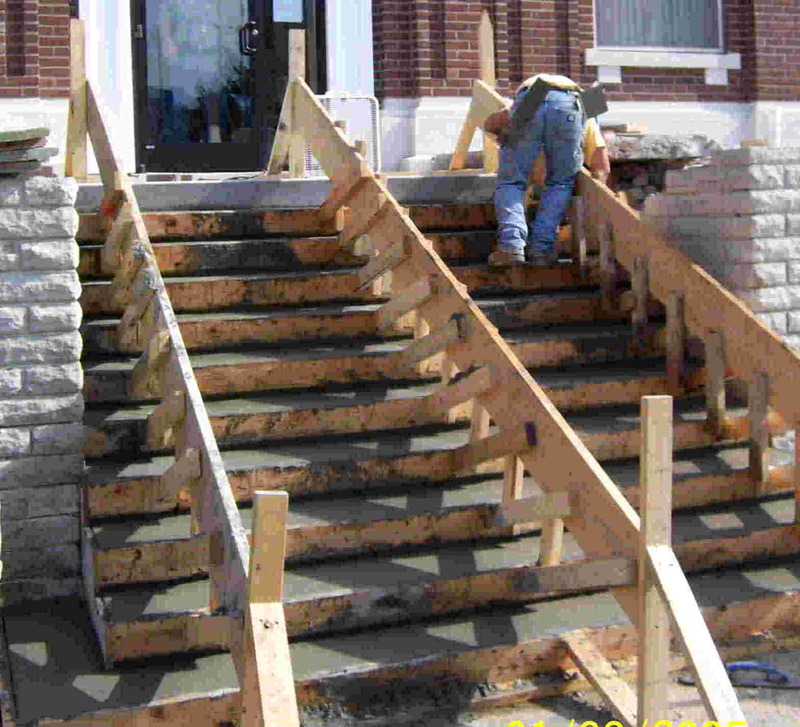 There was no support built for the new stairs, hence the reason the latest ones had bowed and cracked. The old ones were knocked out and new ones were poured in their place. 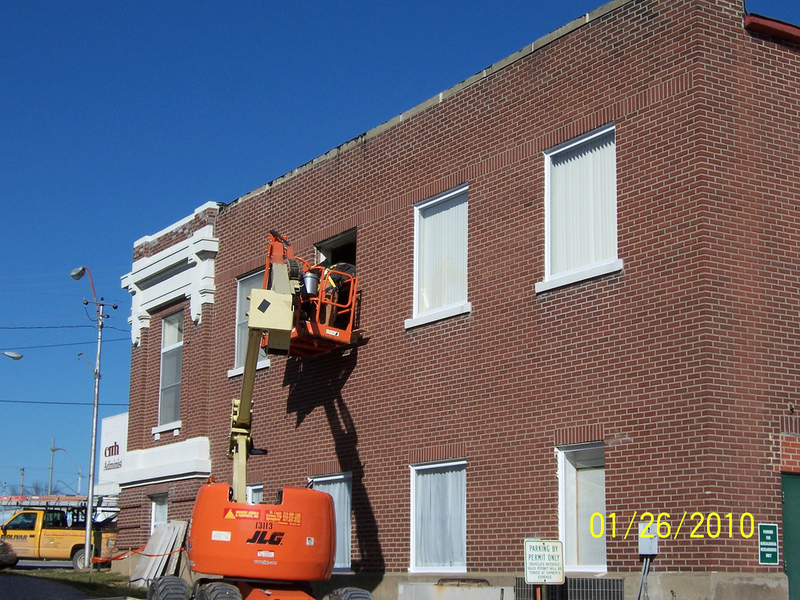 Kenny Jones with Bolivar Insulation installs windows at the Polk County Genealogical Society’s Library and Research Facility in downtown Bolivar Wednesday, January 20, 2010. All 30 windows in the building are being replaced to increase energy efficiency and maintain better climate control for the documents stored in the facility. 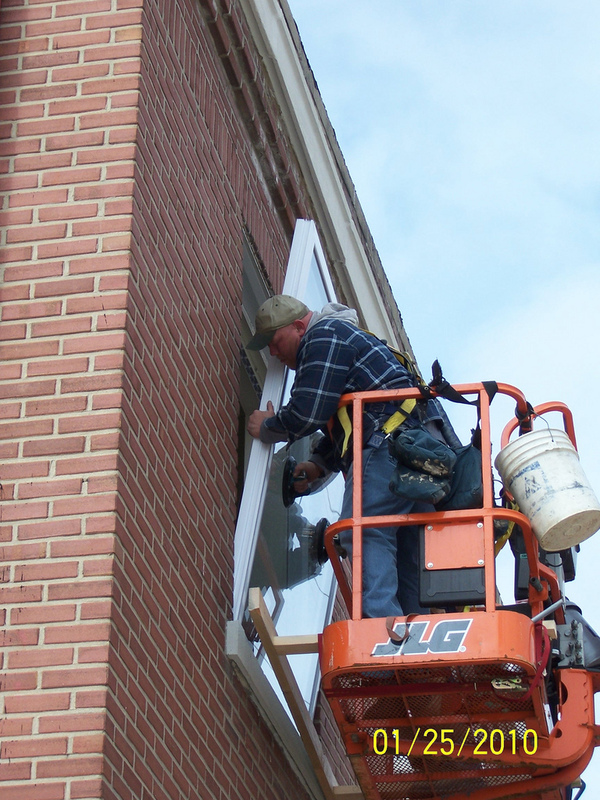 The windows being replaced were installed in the 1960s. Caption from page 1A, Bolivar Herald Free Press, Friday, January 22, 2010. Photo by Charlotte Marsch. 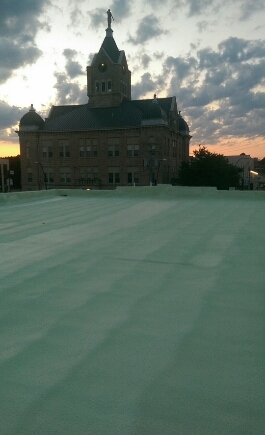 on the roof of the PCGS research facility.